"Thank you so very much for the Psalm 91 resources. 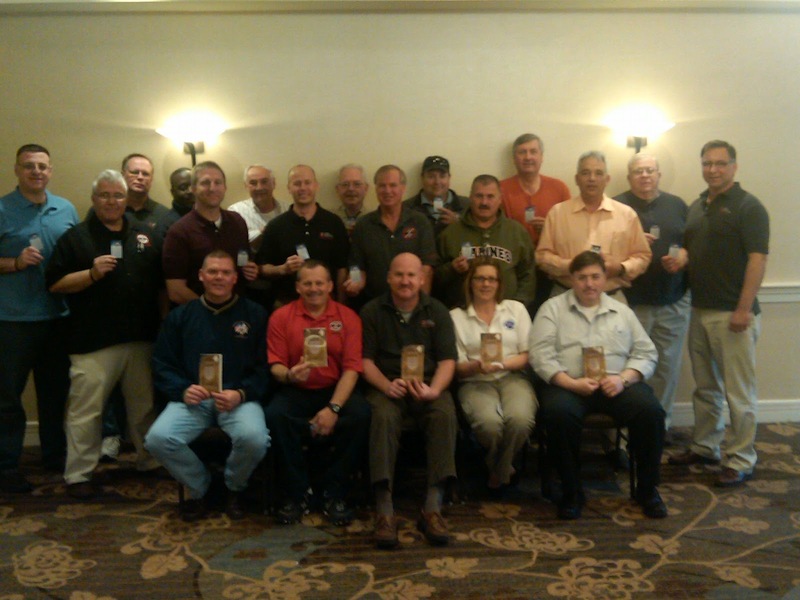 I recently attended a "Everyone Goes Home" Region 1 and 2 workshop in Portland Maine. 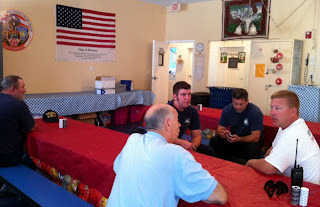 Everyone Goes Home (www.everyonegoeshome.com) is a program under the National Fallen Firefighters Foundation. The Everyone Goes Home Life Safety Initiatives are designed to help firefighters become safer, healthier and better prepared to handle the issues in regards to firefighting. As you can see from the smiles the Advocates were very happy to receive the Psalm 91 cards and resources..... Both Everyone Goes Home and Operation Safety 91 have the best interest of the firefighters and their families at heart. I believe that together we can make a strong impact on these men and women who so courageously protect us. Thank you again Mary for the resources. You are a Blessing. Be safe. Scott Pruiksma, Everyone Goes Home Advocate, NJ"
What a joy and an honor today to attend Orlando Police Department Awards Ceremony. Over and above attending we were doubly honored that our Founding Chaplain Andrew Wade, Sr. Chaplain of Orlando Police Department was honored with a Patriotic Employer Award as was Chief Rooney himself. Both Chief and Chaplain Wade well deserved this honor! 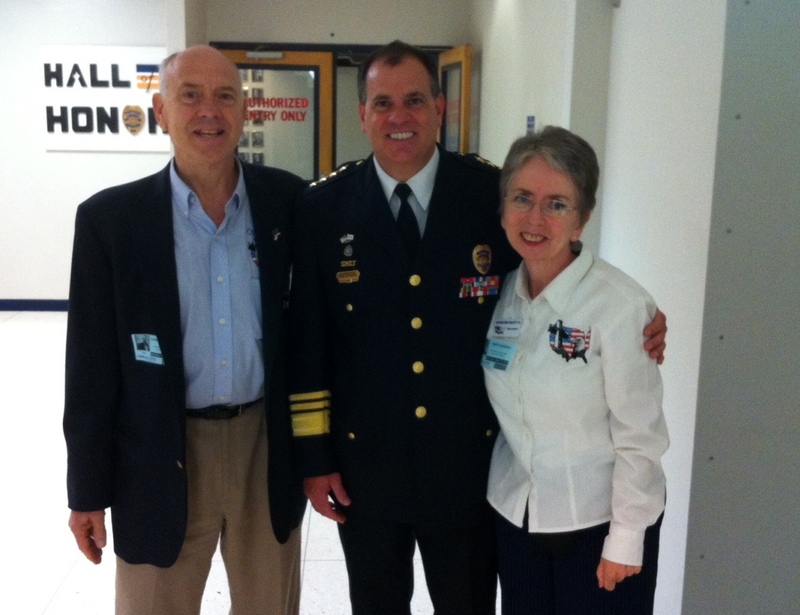 Another joy for OS91 was to be present at the appointment of COL Chaplain Mike Vidal as an OPD Chaplain. 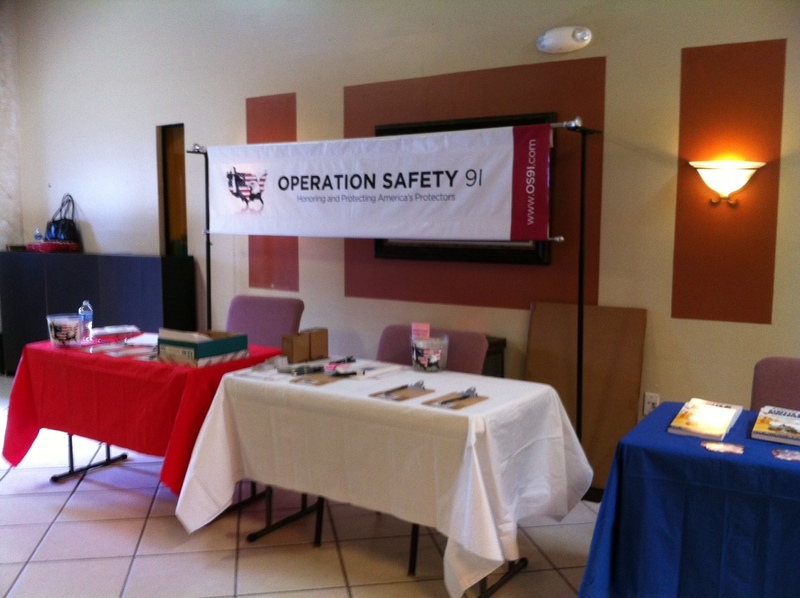 Chaplain Mike has been a partner of OS91, giving out Psalm 91 cards and books for nearly a year. We so appreciate working with this COL Chaplain who is opening doors for Operation Safety 91 to reach Responders in other states. The Awards Ceremony was a very special time dedicated to the recognition of outstanding people both within the OPD force as well as outstanding citizens. As Units within OPD were recognized, very detailed accounts of chases, apprehensions and shootings were shared with the audience. Retirements were also announced. Willie Webb, retiring from OPD after 29 years of service, was awarded, as were the other retirees. Willie referred to 1 Kings 3, admitting he had not divided his time well between family life and the Police force. And while thanking his family for their understanding, he advised the current active Police Officers to ask God for wisdom in this matter. The unusual men and women Officers we were privileged to applaud this morning for their outstanding service, are, in my opinion, the true heroes of today...along with our other Responders: Firefighters, EMS, Military. They risk their lives for us on a daily basis. OS91 wants to educate the public to understand this fact as well as to appreciate and honor all Responders who rescue, protect and defend us. We salute all those awarded today at Orlando Police Department! Thank you for your service! Scott Pruiksma, long time friend and partner of OS91 is a Firefighter in NJ and Founder of Interlocking Arms www.interlockingarms.net. He also a member of the Fellowship of Christian Firefighters International. June 8th to July 4th of 2012, Scott will be going to the Philippines to assist Gospel Trick Shot Ministries. While he is there, Scott will be visiting Fire Stations to share the Good News, introduce the position of fire chaplain, and encourage the men and women who serve in the fire department...and guess what he will be taking: Psalm 91 cards! The Firefighters have been greatly impacted there by the many lives that were lost in the floods of 2011. I want to take advantage of this opportunity to ask for prayers for Scott and if anyone is led to assist financially check may be mailed to PO Box 35, Midland Park, NJ 07432 (make it out to The Fellowship of Christian Firefighters with line item Scott: Philippines 2012). God bless you, Scott. We love you and promise you our prayers. We know that you will impact many lives for the Lord and His Kingdom. 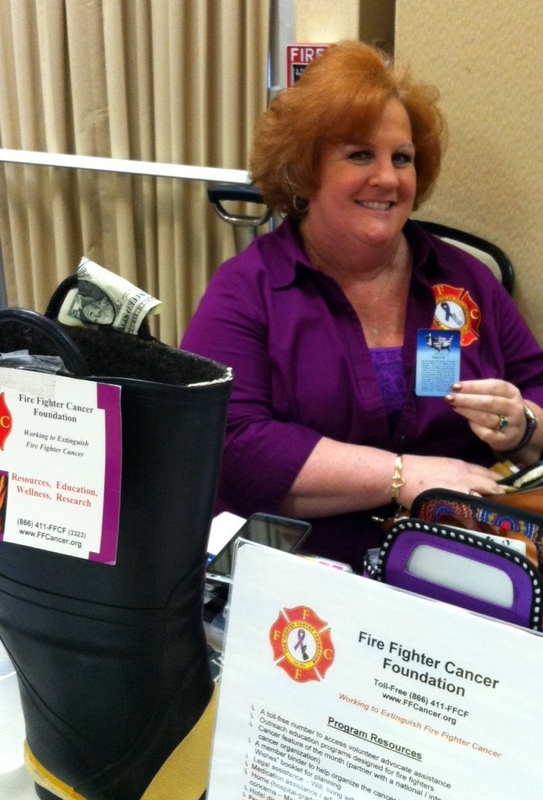 Thank you for taking the Psalm 91 cards to our Responders in the Philippines! This morning we received a visit from Chaplain Mike Vidal of Orlando Police Department, a Military Chaplain and Retired Colonel of the Georgia State Guard. Mike has been distributing The Psalm 91 cards and books for nearly a year now and came to replenish his supply. One of Chaplain Vidal's assignments as a Military Chaplain is to perform funerals where he gives Psalm 91 cards to family members of the deceased. Mike is also going to arrange some engagements for Operation Safety 91 to reach Responders and to present our mission with Churches and High Schools. 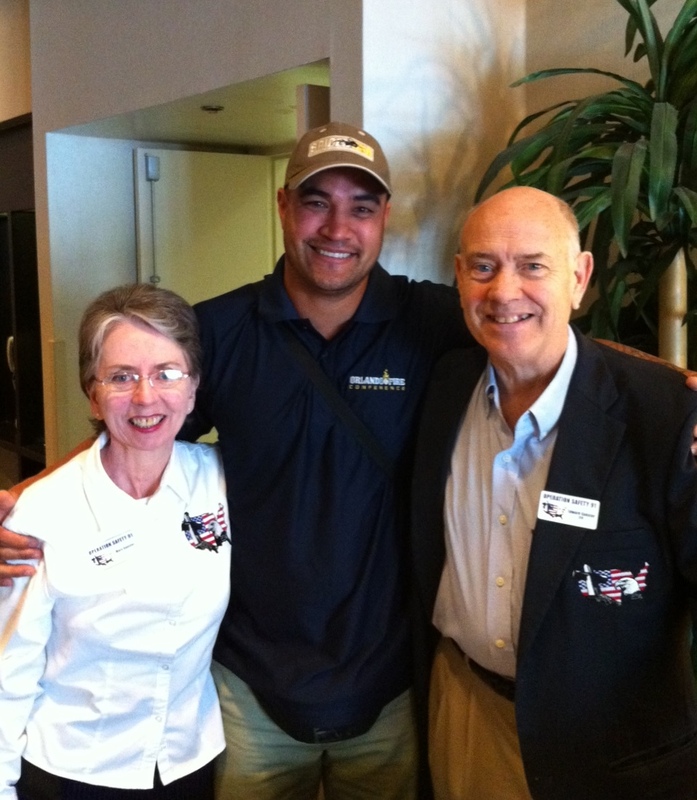 Thank you, Chaplain Mike! We appreciate you! Ed shared OS91's new campaign called "Catch The Cause" with Chaplain Vidal who jumped onboard and left with handfuls of vouchers for our upcoming "Doughraiser" at the UNO Chicago Grill at the Winter Garden Village location from 4/22 to 4/29. The Doughraiser will begin with the National Launch of "Catch The Cause" on 4/22 from 1 - 2 p.m. "Catch The Cause" is OS91's new campaign to take the its mission across America through social networking. To help us launch will be 9 Emergency vehicles, Winter Garden Police and Firefighters, Orange County Sheriff's Office Deputies and Canines, Veterans, Responder Chaplains, Todd Nichols the Bagpiper (special friend of OS91) and lots of present and soon-to-be friends and supporters of OS91, adults, teens, youngsters and pet dogs! We are inviting pet dogs to come to honor Responder Canines. The Doughraiser will go on all week from 4/22 - 4/29. When anyone enjoys UNO's delicious food dine-in, carry-out or commercial delivery and presents the voucher below (which will be on our website closer to the date) OS91 will receive 20% of the bill to help us continue our mission to honor and protect America's 1st Responders. So please come out and join us for a wonderful Family Day Event on Sunday, April 22 (as well as Sunday April 15th in Melbourne from 1 - 2 pm at the Melbourne UNO's (more info coming). Meet and greet Responders, who protect us every day and have given so much to defend our country. Have your kids climb aboard a Fire truck! Join "Catch The Cause" and help take this across America. Finally sometime during the week (if not at that time), present a voucher and enjoy some UNO's dine-in, take-out or commercial delivery and support a great cause! "Thank you so very much for the shipment of the Ps 91 cards....We started this Sun PM service six years ago last month with 12 marines. By July of 2010 we were having over 300 hundred per service. One night in Sept and one night in November we had over 600. The Sunday before Christmas we had 1100. Over 1,000 marines have received Christ in the last 15 months. You are co workers with us so you are part of the reason for our growth. We thank you very much. God bless you in all of your work for our Lord. God bless you and keep you." Chaplain Robert H. Warren, USN, RET. OS91 announces pre-launch of "Catch The Cause"
Today a multiple Event took place at our premiere partner Church, Christ Family International (CFI) Church (cfichurch.com) in Port St. Lucie, FL! 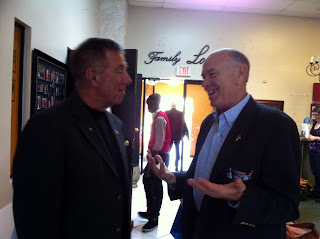 CFI's Pastor Gerry Khourie had invited OS91's Spokesperson, COL Danny McKnight, US Army (Ret.) 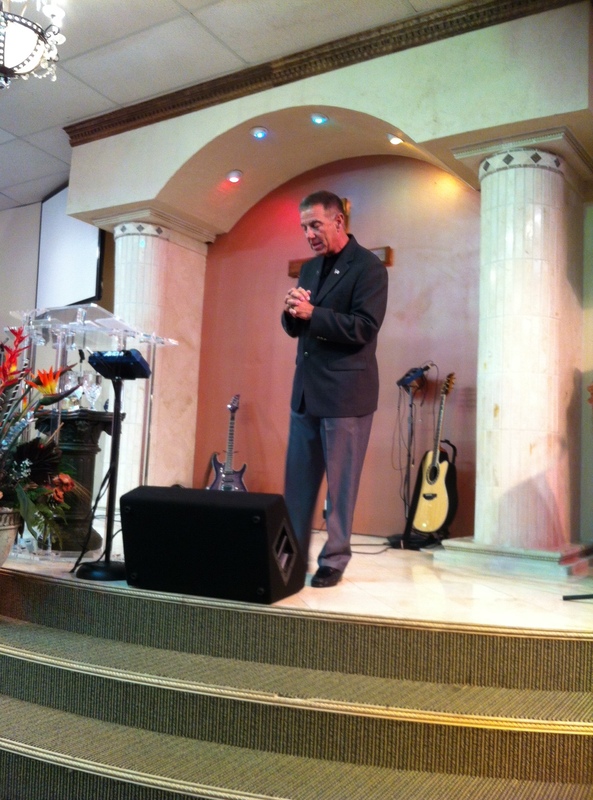 of "Black Hawk Down" fame to preach at both services. Combined with this, Operation Safety 91 announced the pre-launch of its new campaign, "Catch The Cause - Spread The Flame". "Catch The Cause" for short, will take the mission and vision of OS91 across America through social networking making people more aware of the risk Responders assume to protect, rescue and defend us. Our goal: 100,000 partners by December 31, 2012. 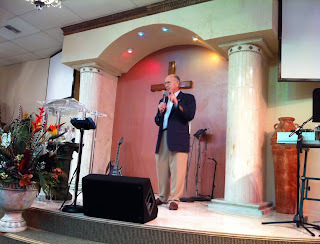 To view the service(s), go to cfichurch.com and click on the tab in the upper right hand corner "Watch Services Live" for the two archived Services of March 18. OS91 Founder Ed Ganster and his wife, Mary, came to Port St. Lucie Saturday afternoon for a filming with COL McKnight of the introductory "Catch The Cause" video, and at the same time, COL McKnight was filmed in an interview with Pastor Gerry Khourie for a new show being developed by Scott Smith, the videographer who filmed OS91's 3rd and 4th Annual Tribute to Honor America's 1st Responders. In case you have not viewed the 7 minute Highlight Videos of these Tribute Events, you will want to watch them right now! We appreciate you, Scott! COL McKnight spoke from his heart on Sunday morning at CFI, sharing himself, his journey, his beliefs saying, "My faith in our Lord Jesus Christ is the most important thing in my life." He named his talk: "God promises a safe landing, not a calm passage" citing his surviving the Battle of Mogadishu and other close calls as "God's Will". Recently returning from his second trip to Afghanistan in 3 months, visiting our Troops right in the heart of battle, COL shared the message he brought them, Isaiah 41:10, "Fear not; for I am with you: be not dismayed, for I am your God: I will strengthen you: yea, I will help you; I will uphold you with My right hand of righteousness." Also, pulling out his wallet to show his own Psalm 91 card, COL McKnight shared his own personal belief in Psalm 91, God's protection, and that God answers prayer. One of OS91's greatest honors is having COL Danny McKnight as our National Spokesperson. COL speaks over 80 times a year, spending over 220 days each year on the road speaking to 1st Responders: Firefighters, EMS, Law Enforcement and Military. It is so obvious that God made him a Divine Connection for OS91 to reach all those Responders with the message of Psalm 91 and God's Protection. COL takes the Psalm 91 cards with him everywhere he speaks and, in fact, himself donated the funds for the last batch of 50,000 cards! And in only 3 weeks, 39,000 of those 50,000 cards are distributed! The response of the congregation of CFI Church was phenomenal, led by their Pastors, Gerry and Donnelyn Khourie and their two children, Canaan and Destiny. All four of them signed up as "Catch the Cause" partners, leading the way for their Congregation who responded with great enthusiasm as well! The partnership of CFI has been so significant during the past 2 years that they have earned our title as OS91's PREMIER Church partner. Mary addressed the congregation at the end, thanking the people for their partnership with Operation Safety 91 saying that "together we can do more than separately"! 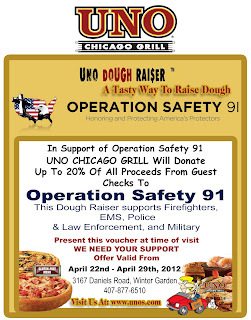 4/15 at UNO's Chicago Grill in Melbourne from 1 - 2 p.m. beginning a week long Doughraiser for OS91. 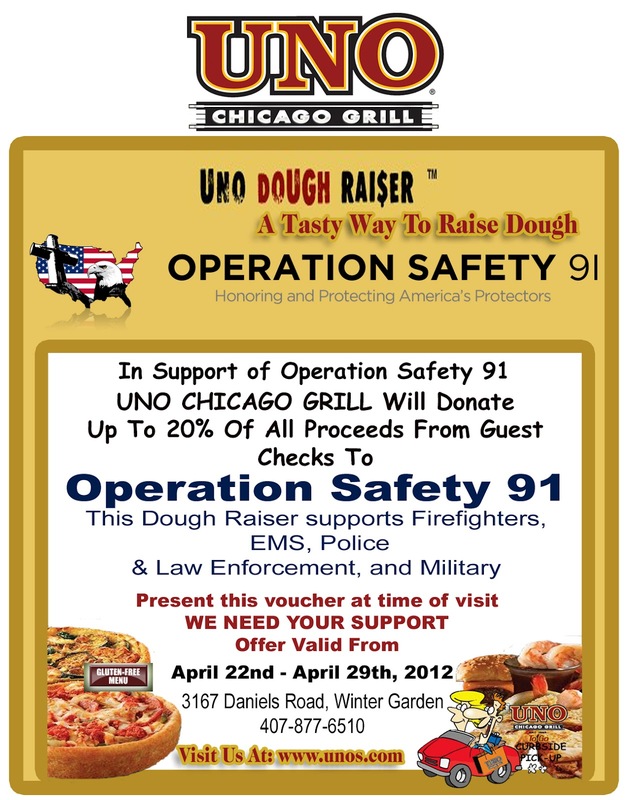 4/22 at UNO's Chicago Grill in Winter Garden from 1 - 2 p.m. beginning a week long Doughraiser for OS91. Details will be announced as well as Vouchers for you to download for the Doughraisers will be on our website OS91.com in March. 20% of orders whether dine-in, take-out, or commercial delivery will be donated back to OS91 by UNO's Chicago Grill. We hope you will enjoy some delicious eating next month at UNO's in Melbourne and/or in Winter Garden and present a voucher to help us help Responders! And spread the word! Oh what a joy and honor to receive this Thank you today from the Regional Command East Combined Joint Task Force 1 Chaplain Office "for your special care packages of Psalm 91 cards and books". Tears came as we read these moving words coming from the heart of Afghanistan! "Your packages were distributed with great delight to the troops in theater." Enclosed with the letter was a disc "with a photo journal put together and intended to paint a picture of what it is like here in our forward area". A most heartfelt Thank you to SSG Chaplain Knight for for taking the time and care to thank Operation Safety 91 for sending Psalm 91 cards and getting the Psalm 91 books there as well from the 1687 Foundation. We appreciate all our partners and supporters who help us reach our Responders with the Divine Protection of Psalm 91. "Together we can do so much more than separately!" What an enjoyable time Ed and Mary had this afternoon with our friends, Minneola Firefighters Frank, Patrick, and LT Jim at New Hope Christian Academy http://www.newhopeca.org/ in Minneola, FL. 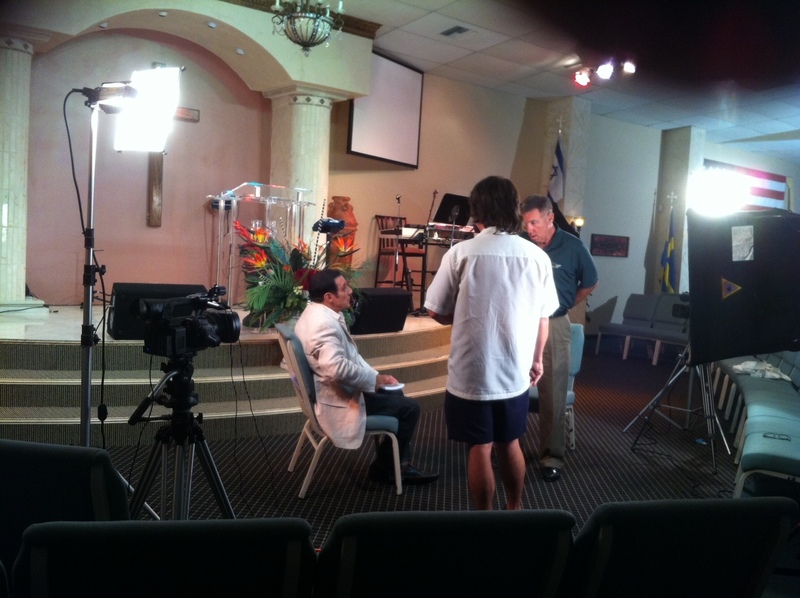 New Hope Christian Academy, a private Christian, non-denominational using the "A.C.E." (Accelerated Christian Education) Program. Ed and Mary are on the Board of Directors at NHCA and a wonderful relationship exists between NHCA, OS91, and Minneola Fire Department. New Hope is currently holding a Barbeque Chicken fundraiser Mrs. Angi Pitt, Founder and Principal, invited their Firefighters over to bless them with a free dinner. And what a dinner it was! You could smell the barbeque in the parking lot and it delivered all it promised! OS91 has very many Ministries and/or Ministers pick up Psalm 91 books on a regular basis, but today gets special mention. Peggy Joyce Ruth, the author of all the Psalm 91 books we have been distributing for over 4 1/2 years thanks to the generosity of the 1687 Foundation, asked Operation Safety 91 if we could be the pick-up point for Psalm 91 books for Crossline College Ministry while they are in Orlando doing Ministry. This morning was pick up time and these two young men loaded their SUV up with Psalm 91 books in English and Spanish. 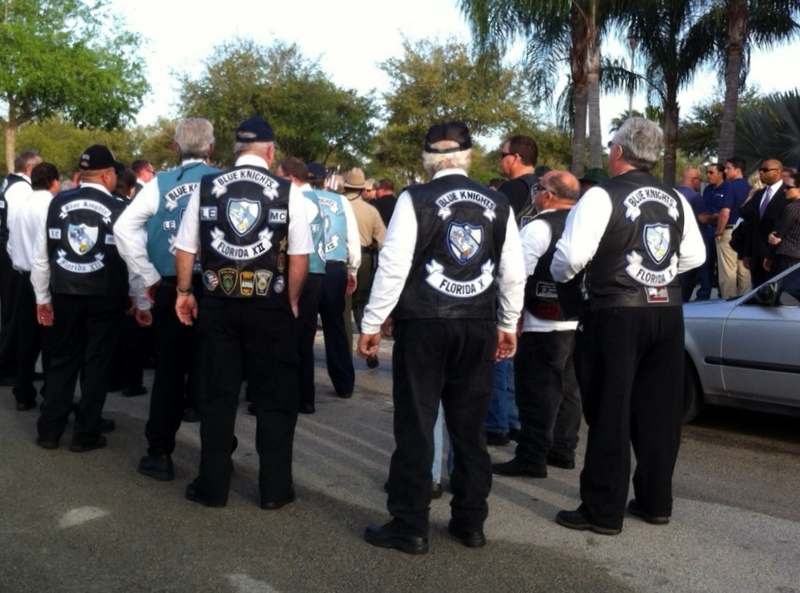 Angela King, leader of the group (on right) is organizing the daily activities of over 2 dozen young Christian men and women as they spend a week in Orlando evangelizing and spreading the Psalm 91 message. We are honored to partner with Peggy Joyce Ruth through these dynamic young people to reach Orlando for Christ! Operation Safety 91 was requested by Detective/Chaplain Luis Figueroa of Palm Bay Police Department not only to attend the funeral of Brevard County Deputy Sheriff Barbara Ann Pill yesterday at Calvary Chapel in West Melbourne, FL. but also to distribute Psalm 91 cards and books to the LEOs and Police in attendance. 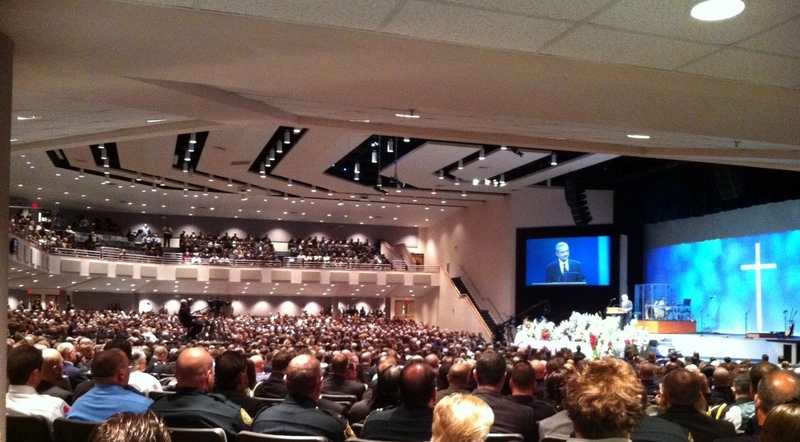 We saw Romans 13:7 in action yesterday as thousands of sworn LEOs and Police as well as Law Enforcement Admin, and other Responders of all disciplines, active, retired, and veteran gathered to "give honor to whom honor is due", a "true blue warrior hero" loved by her colleagues and community. Psalm 91 cards, books and Cross Pins were set up on 4 tables throughout the Lobby of the Church for anyone to take freely. Pastor Norm of Calvary Chapel who has partnered with OS91 in the past, was happy to take the remainder for distribution to LEOs throughout the vicinity. 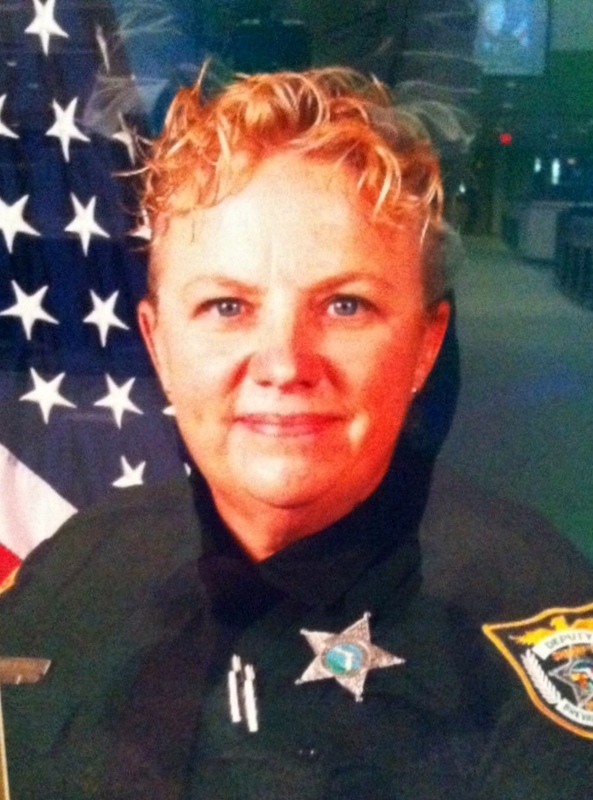 OS91 salutes Deputy Barbara Ann Pill and prays for all Responders who follow such a noble calling! 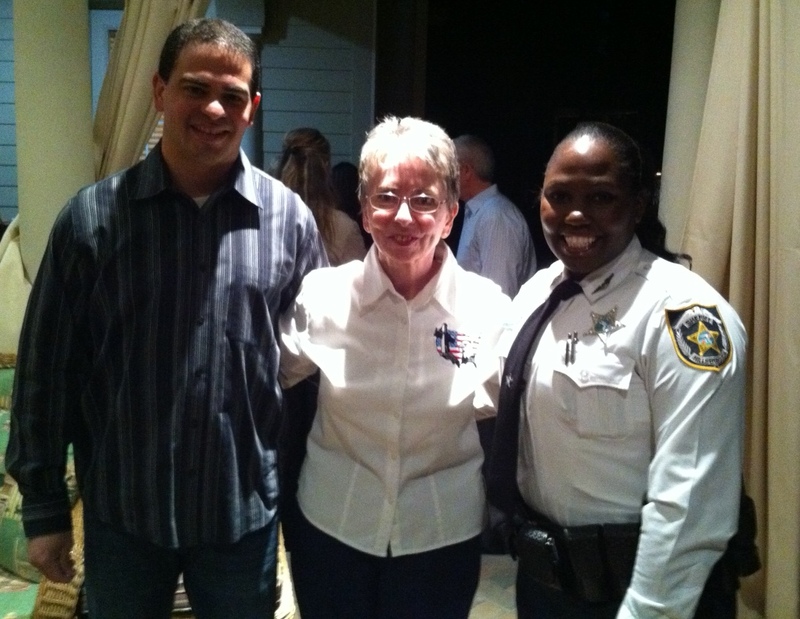 Last evening Ed and Mary attended the Heroes Dinner, welcoming Responder Life, a Ministry affiliated with Focus on the Family, to the Tampa Bay community of Florida. Responder Life, http://www.responderlife.com/ an outreach to Police, Fire/Rescue, EMS, Federal Agents and 9-1-1 Dispatchers has recently taken Firefighter/Paramedic Ronnie Rivera, Founder of Emergency Workers for Christ, as Responder Life Florida's Regional Head. 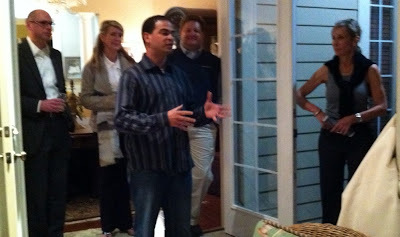 When this joining took place, Ronnie introduced Responder Life to OS91: http://operationsafety91.blogspot.com/2012/01/os91-meets-with-responder-life.html Welcoming all the Dinner Guests was Ronnie Rivera, now head of Responder Life in Florida, pictured above. Behind Ronnie are from left to right: Trey Doty, Executive VP and COO of Responder Life in the U.S., L A Doyle who is head of Responder Life Canada, Chris Green, President and CEO of Responder Life U.S. and Terry Hassle, Board Chair and Spokesperson of Responder Life in Florida, who so graciously hosted our delicious Heroes Dinner at her beautiful home. This partnership with Responder Life opens new doors to Operation Safety 91, enabling us to reach literally thousands more ...tens of thousands more Responders with the life saving message of Psalm 91. Ronnie connected OS91 with Dr. Ann Brown of the Joint Commission on Chaplain Accreditation and Education who attended last evening's dinner. Dr. Brown immediately welcomed with open arms this partnership with Operation Safety 91 to reach the Responders through the Chaplains who go through her Program www.jccae.com. 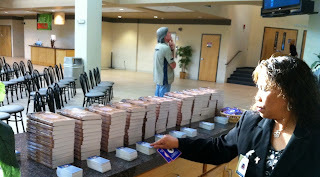 2,000 Psalm 91 cards were put into her hands, plus the Psalm 91 books. We also connected with the wife of a Military Chaplain currently in the heart of Afghanistan so that we can send over Psalm 91 cards for his Troops and get the Psalm 91 books into his hands. 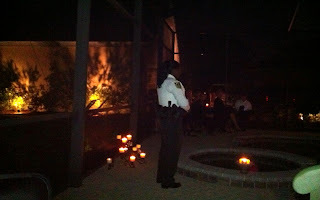 Two current Responders spoke: the first was a Deputy, very close to retiring from the Hillsborough County Sheriff's Office, who spoke about how the Lord was so very much a part of his work. Secondly, a young woman Deputy from Hillsborough County Sheriff's Office, who overcame being shot 3 times during a 911 call because of her faith in Jesus Christ, gave her testimony. All present were inspired by these courageous Responders and their heart for Jesus Christ. They are not ashamed of the Gospel. Ronnie wrapped up the Testimonies with his own: in the past three weeks overcoming blood clots to his heart and brain resulting in paralysis of his entire left side, now gone...because of his faith in Jesus Christ and Psalm 91! OS91 looks forward to a very fruitful partnership with Responder Life and welcomes the outreach to an ever growing number of Responders through this Ministry and those with whom it is associated. To date, well over a quarter million Psalm 91 cards have been given to Responders through and with the help of our partners. "Together we can do so much more than separately." What a joy to receive this by email: "Your Psalm 91 cards are very special. I picked a couple of them up from a Christian Firefighter booth at the recent Firehouse World conference in San Diego. I would like to request a supply of them to share with my coworkers. Our faith in God is important to continue to do the work that we do. I appreciate your support. Thank you." Today we joined over 1,000 Firefighters from all over the U.S. at Holiday Inn Universal in Orlando, FL, for the opening morning speaking session of the Orlando Fire Conference. Guest speaker was Operation Safety 91's National Spokesperson, COL Danny McKnight, US Army (Ret. ), Ranger Ground Commander of the Battle Of Mogadishu, portrayed in the movie, "Black Hawk Down". COL McKnight inspired all present with his story and his teaching on leadership, professionalism and success. COL taught the Firefighters that a true leader leads from the front. He emphasized TOTAL fitness: physical, mental, emotional and spiritual. It was such a joy to hear him share about the Psalm 91 cards: "I believe they are very important!" And pulling his own Psalm 91 card out of his pocket he said, "Here's mine! I carry it with me wherever I go! Because it is the ultimate Scripture in the Bible about Divine Protection...." Then speaking about OS91: "Ed and Mary started Operation Safety 91 because of YOU: Firefighters, EMS, EMT, Police and Law Enforcement and Military. And I am proud to be their National Spokesperson!" Also available were the Psalm 91 books. What a joy to meet with some local Firefighters we know! This Firefighter Jimmie Myers told Mary that two of our partners, Chaplain Jack Favorite and LT Tommy Neiman (Port St. Lucie/ Ft. Pierce) spoke at his father's funeral. Mary was so blessed when Cindy, the president of the Fire Fighter Cancer Foundation pulled out from her wallet a Psalm 91 card which she has carried with her for some time now. 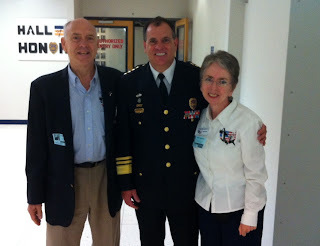 Cindy knows the Mid-Atlantic Director of the Federation of Fire Chaplains, John Long, and his his Associate Director, John E. Jamieson, both of whom we met at least 4 years ago in Rhode Island during their Annual Convention http://firechaplains.org. Obviously, they have done a wonderful job of spreading the Psalm 91 cards! 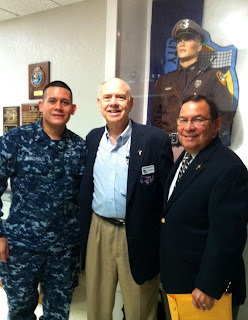 A heartfelt Thank you to COL McKnight for his personal invitation to us to attend this Event. It is such an honor and privilege to hear COL speak and to learn from him, and it is our joy to continue reaching Responders with the message of Psalm 91!